Milo Yiannopoulos who is a conservative Public Figure and commentator. He is also well known for abrupt jokes controversial commentary on almost everything have drew the larges possible amount of both supportive and opposing people to come and listen to his talks as well as read his articles.He was also a editor at Breibart News, which is a far - right, American news, opinion, and commentary website that was founded in 2007 by conservative commentator and entrepreneur Andrew Breibart. Today Milo Yiannopoulos decided to resign from Breitbart News, after comments about pedophilia came about being noticed by both Liberals and Conservatives all over the internet. It is being said that he supports child abuse openly. Milo did admit what he said was wrong and he should have used a far more appropriate tern instead of children or "young boys". "This week, for political gain, the media and the Republican establishment accused a child abuse victim of enabling child abuse. 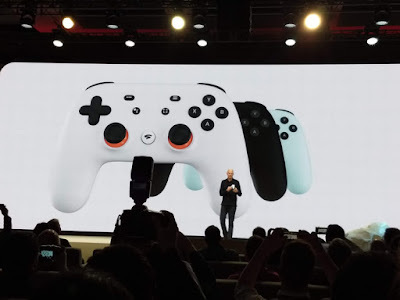 It's sick. But they have not killed me. They have only made me stronger. Thank you for the support. You guys have kept me sane. In a few months, this will be a distant memory. I'll be back with details of my new publisher, my new media venture and my new tour." Milo sadly is actually a child abuse victim who between the ages 13-16 he was "touched" and he does not by any means support any pedophilia in any way, shape, or form and never will. He also said that he thinks it is sick that anyone would do anything like that with a child. He also said that he would be wrong "to allow my poor choice of words to detract from my colleagues' important reporting. Milo Yiannopoulos confired that his book was cancelled on his facebook page last night. 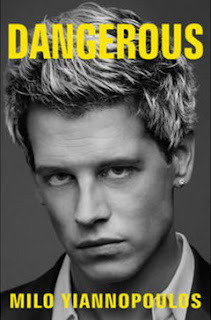 Sadly Simon & Schuster has decided to cancel Milo's book, because they not only want to protect their brand from any bad publicity but also feel that what he has said was not acceptable by any means what so ever and of course they do not support it at all and never will. Thus they have canceled his book to protect themselves and they don't like what he has said. Many people are furious that this has happened, because they had a pre order this book and they honestly wanted to read it. They have also on some website already rated the book five stars without even receiving it yet. This really does show the dedication of his followers and how they feel about him and how much confidence they have in him to produce a book that is five stars. Simon & Schuster said that "After careful consideration, Simon & Schuster and its Threshold Editions have canceled publication of "Dangerous by Milo Yiannopulous,"
" We do not and never have condoned discrimination or hate speech in any form." 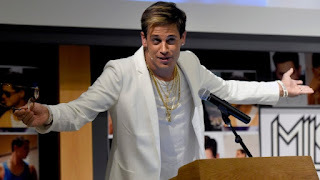 Milo is also known for abrupt speech on many different subjects that some people seem have an opinion and believe that it is discriminatory and a little bit too wild for the. This all happened after a video resurfaced of Milo commenting about pedophilia. The book cancellation was announced after the Conservative Political Action Conference (CPAC) dis-invited Milo as a speaker after the video surfaced. Well to be sure we don't know he did say that he will not let this put him down at all. He also has a pretty loyal fan base that will most probably follow him to where he decides to go with his career at this point. However he will most probably continue with Journalism since he is a Journalist, but we still need to wait and see how all of this plays out for Milo.